As Sri Vittal Rakhumai Mandir, Dahisar Shri Kashi Math is celebrating the second annual Brahma Rathotsav, here is a small rendering from our end. 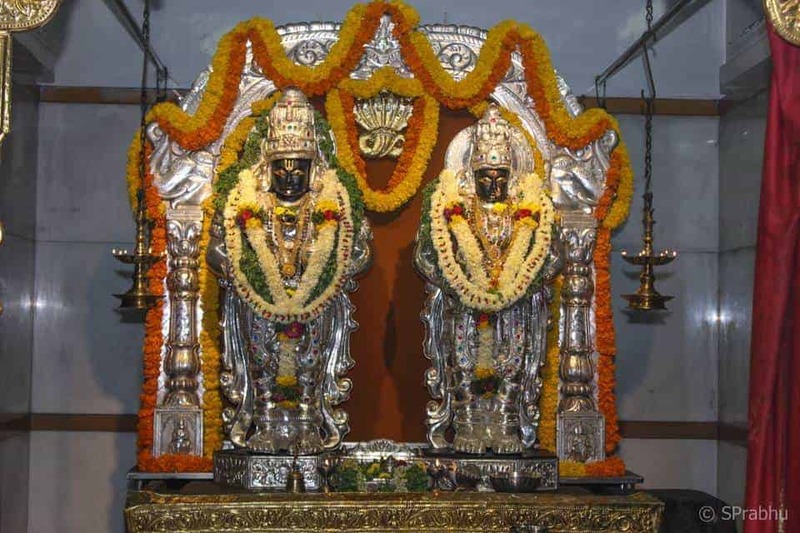 MUMBAI : Car Festival of Sri Vittal Rakhumai Mandir, Dahisar Shri Kashi Math is popularly being called as Mumbai Rathotsava (Mumbai Teru). The festival is becoming one of the most famous festivals amongst GSBs and attracts thousands of devotees to visit Dahisar and witness this festivity filled with enthusiasm. Car Festival of the Vittal Rakhumai Mandir in Dahisar-Mumbai, is a six day festival that is celebrated by the people of Mumbai with immense pomp and gaiety. On each of the six days of the festival, the temple organizes feasts and utsavs. The Palkhi Utsav taken out specially for the occasion wherein the pallaki with idols of Sri Vittal-Rukmini is carried on shoulders by the young GSB men clad in yellow, orange and red silk attire, is a treat to watch. A large number of volunteers participate in the Mumbai Car Festival. Car Festival of the Vittal Rakhumai Mandir in Dahisar-Mumbai is usually celebrated in the months of November/December. The celebration of the Car Festival includes Vishnu Yaga, Yajnaarati, Mahabali, Samaradhana, Palkhi Utsav, Vasanth pooja and so on. But the main celebration consists of carrying the deity on a gigantic ‘Teru’. ‘Teru’ or ‘Brahma Ratha’ is a 41-ft tall chariot, made from teakwood that is decorated with a towering cloth in red and white. After bedecking the wooden car, the of Vittal Rakhumai is placed in it and the devotees haul the car along carstreet located in Sri Sudhindra Nagar, Dahisar. The festival concludes with “Avabrita Snana“(purification bath), which is a ritual held to mark conclusions of such festivals. Youth celebrate the same by applying colours and splashing yellow coloured water containing turmeric. This day is popularly called “Okkuli” and attracts the younger generations. Devotees from the length and breadth of the city come to participate in the event.